Create a city of synonyms! Pass out paint chips (or use paper) and have each child in charge of a word. There challenge is to construct a skyscraper of synonyms! When everyone is finished, build a city. Make a street, add cars, signage, whatever you'd like! 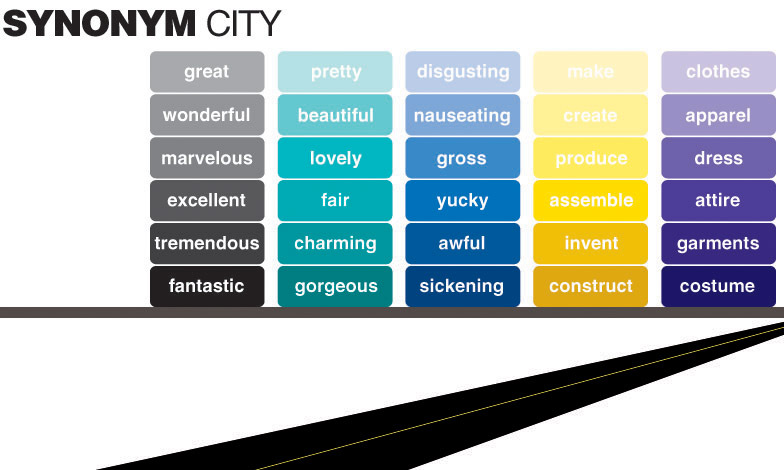 You can keep Synonym City hanging on a wall in your classroom to help kids spice up their writing. When kids are feeling uninspired, they can drive to the city and shop for words!